Move out of the way X5, there’s a bigger sibling in town! 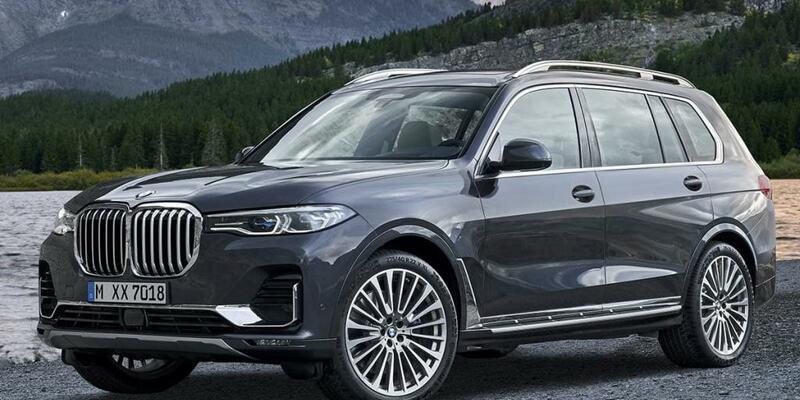 The 2019 BMW X7 was just unveiled and it’s BMW’s largest crossover ever! It offers standard three row seating, plenty of cargo space, a flashy look, and an elegant interior bound to put smiles on the faces of any family! 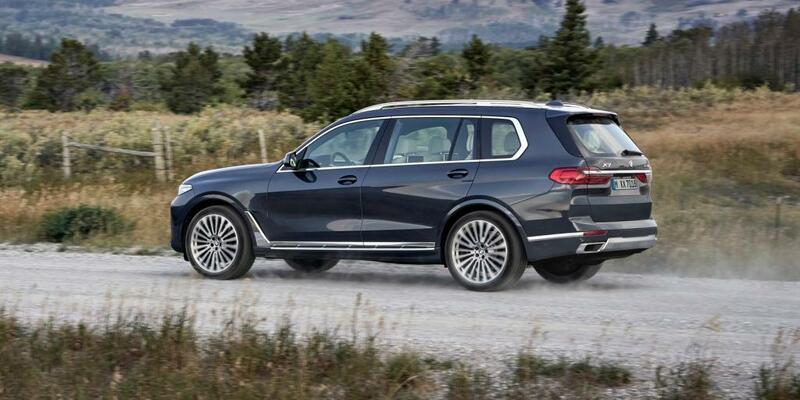 Not to mention, BMW considers this new X7 the pinnacle of its X Sport Activity Vehicle lineup. So, you know it has to be good! There are two models of this large crossover offered, both with impressive engines. The BMX X7 xDrive40i and BMW X7 xDrive50i will arrive at dealers in March 2019 and there’s even pre-ordering available, a first for any BMW product! So, you’re probably wondering just how big this new X7 SUV is. It’s 203.3 inches in length, 78.7 inches wide, and 71.1 inches tall. That makes it about nine inches longer than the X5. Its wheelbase of 122.2 inches is actually just three inches shy of the standard-wheelbase 7 Series. The 2019 BMW X7 offers standard three row seating for seven passengers, but you could opt for two captain’s chairs instead of the bench in the second row. That would reduce your passenger size to six, but also help the seating arrangement feel more exclusive. Those captain’s chairs get all the same functions as the seats in the front, which is pretty impressive. “Two second-row seats with a space between them represent a first for a BMW SAV and create an exceptionally luxurious ambience in the rear compartment,” writes BMW in a press release. There’s also plenty of room for all your belongings in this all-new X7! When the third row seats are not in use, the crossover offers 48.6 cubic feet of space. With the backrests of the standard second row bench seat and third row seats folded down, that space improves to a maximum of 90.4 cubic feet. Impressive! What else is great is that at the touch of a button in the trunk, the standard air suspension allows the SUV (or SAV) to be lowered to make loading all that cargo easier! The BMW X7’s rear also features a two-section split tailgate, which both have electric opening and closing as standard. The inside of the BMW X7 feels roomy and versatile. Expansive surfaces and clean structures give the instrument panel a modern look and help its lines flow smoothly into the door panels. The BMW Live Cockpit Professional comes standard in the X7, combining a new display and control concept, as well as offering the ultimate in connectivity. The latest-generation of the iDrive includes a high-resolution digital 12.3-inch instrument cluster display behind the steering wheel and a 12.3-inch center display diagonally across. “This latest system perfectly blends the strengths of previous iDrive concepts with the modern ways in which people interface with their popular electronic devices,” writes BMW in a press release. Other areas of the interior to highlight include the standard three-panel electronically controlled panoramic glass sunroof. It floods the interior with light. Combined with the SUV’s large windows, the X7 offers an open and airy environment to all passengers. Electronically controlled sliding headliner shades are standard for the front, center, and rear sunroof to block out that sun if needed. There’s also four-zone climate control to help keep passengers comfortable. There are even fancier upgrades to consider, though. You could opt for the 1,500-watt Harmon Kardon sound system, for example, or the LED-illuminated sunroof that can display different patterns and colors against the glass. It can even simulate a starry sky, how beautiful! As for the exterior of this vehicle, it features the largest kidney grille ever designed for a BMW. While some might think it’s a little much, it definitely gives the SUV some flare. The X7 also has clean, elegant lines and a nice upright traditional SUV profile. When viewed from the side, the large windows and long roofline hint at the spacious interior. The rear doors are longer than the front doors, further emphasizing the spaciousness of the vehicle. Speaking of the rear, slim LED lights provide a clear segmentation of it. Bridging the space between the two units is a chrome bar. With an SUV this big, it’s obviously going to need some significant power to back it! There are two model choices to consider here. 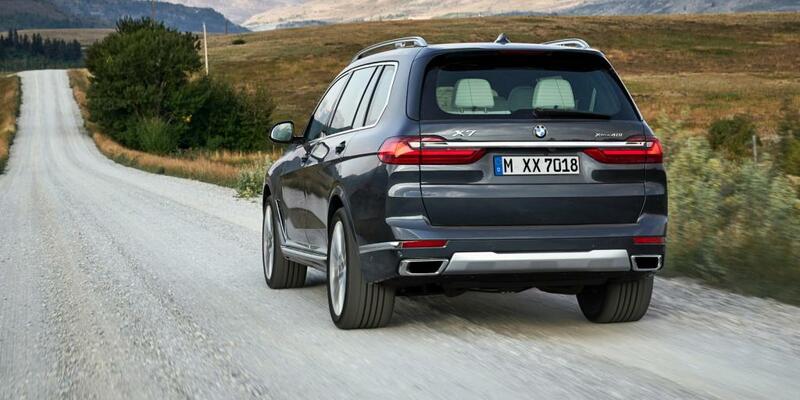 The most powerful is the BMW X7 xDrive50i, which has an extensively updated twin-turbo 4.4-liter V8 engine. It churns out 456 horsepower and 479 pound-feet of torque. It’ll take you from 0 to 60 miles per hour in 5.2 seconds. The BMW X7 xDrive40i, on the other hand, has a single-turbo 3.0-liter inline six-cylinder engine. That makes 335 horsepower and 330 pound-feet of torque. It will take you to 60 miles per hour in 5.8 seconds. Both engines are connected to an improved version of the eight-speed automatic transmission, while BMW xDrive intelligent all-wheel drive comes standard. 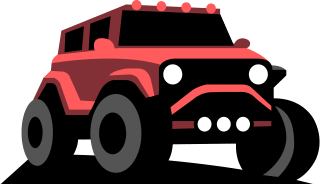 The all-wheel drive system can send 100 percent of the power to the real wheels, and there’s an electronically controlled rear limited-slip differential available with certain packages. Suspension on all X7s is fully independent with dual wishbones at the front and a five-link setup at the rear. For the first time ever with a BMW product, the company is letting people pre-order the all-new BMW X7 SUV online. That shows the excitement BMW is anticipating with this new vehicle! Those who take advantage of that early ordering will be able to spec the car as they wish and also have it be a priority vehicle when the X7 goes into production. Pretty neat! The vehicle will be produced in Spartanburg, South Carolina alongside several other X models. It will arrive in dealerships in March 2019. Pricing starts at $74,895 for the xDrive40i, and the xDrive50i starts at $93,595.